It would be an understatement to say that the SDGs call for innovation and new ways of doing things. Despite the word "innovation" being used to the extent of banality, the ideas of it becoming a widely used word in the post-2015 context is an indication of the transformation that the SDGs are expected to achieve. If we do not fund innovative ideas which are essential blocks for large scale transformation, we risk missing key targets within the SDGs. Testing innovations enable trying the workability of new approaches and models, before pursuing up-scaling for "out-sized" impact. Supporting small but scalable innovations through catalytic grants could deepen programme implementation towards problem solving approach. Yes, it is great to continue supporting proof-of-concept, but without catalytic grants many concepts would remain unproven. In most cases, these initial investments and risk- taking open doors for large scale financing. Against this backdrop, the SDG Philanthropy Platform provided catalytic grants to three organisations to test ideas in the water sector, a sector which continues to be plagued by challenges with access and quality as well as limited government funding. The sector is heavily donor- dependent at the macro and micro levels. UNICEF estimates that more than 5 million Ghanaians still lack access to safe water sources1. Again, death among children linked to poor water and chronic malnutrition is estimated to be about 4,000 annually. This is crucial because water has interconnectivity with many SDGs, notably, SDG#3 (Good Health and Well- Being), SDG#4 (Quality Education) and SDG#5 (Gender Equality), therefore the failure to address the challenges in the water sector could have multiple implications on achieving other SDGs. Moreover, the SDG#6 raises the bar as it emphasises water services within the compound of households, rather than boreholes with accessibility within 500 meters in a community. This SDG is also particular about water quality, an enormous challenge despite Ghana's success in meeting the MDG target on water access. Through ushering innovative pathways aimed to complement the efforts of government and other actors in providing accessible clean water to the population, the SDG Philanthropy Platform awarded grants to Saha Global, TREND, and Coalition of NGO's in Water and Sanitation (CONIWAS) to test innovations in communities in the Central and Northern Regions of Ghana. 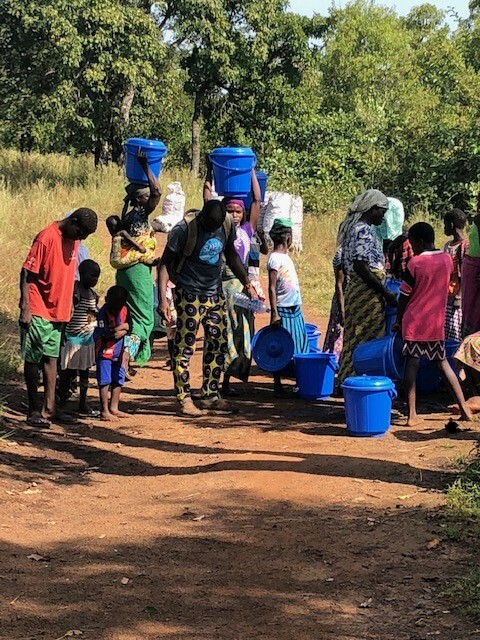 Saha Global used basic materials (alum and chlorine tablets) to treat dirty water from dugouts in "hard to reach" areas in six communities in Northern Ghana, with a combined population of more than 2000 inhabitants, creating 'waterpreneurs' of vulnerable women in the process. TREND piloted the concept of water safety planning (WSP) as a key strategy for improving water safety based on the guidelines developed by WHO. Through a participatory approach in two communities in the Central Region, TREND worked with the Community Water and Sanitation Agency, local government and community leaders. CONIWAS analysed high yielding boreholes in rural areas to determine which ones have sufficient yields to be mechanised and piped to households in line with the SDG #6 requirement on extending pipe connections to households. Interestingly, a comprehensive scalability assessment conducted on these three projects has confirmed the initial assumptions made at the project design stage. 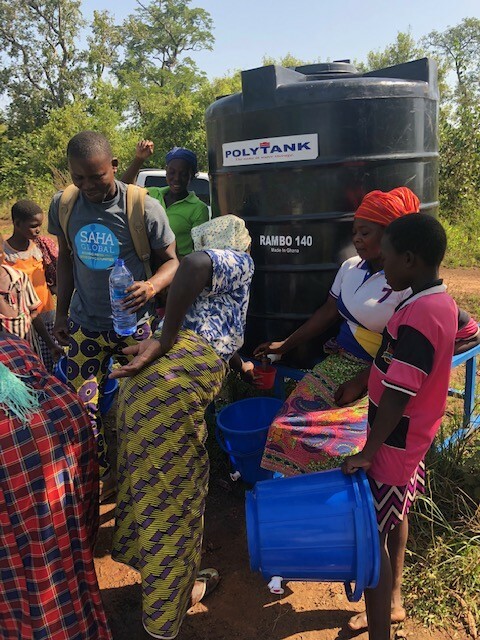 As a result, communities which are "hard to reach" and hitherto depended on dirty water from dug-outs for both consumption and completing domestic chores can now have access to safe water. Indeed, as one community member remarked: "the water we are now getting is preventing us from getting sick. We used to suffer a lot from water borne diseases. Both children and adults were always suffering from diarrhea." This is a testament of what difference catalytic grants could make. A noteworthy headway has been made which would require expanding the projects to other communities. These solutions should be scaled to move beyond "incremental change to real transformation"2 in consonance with leaving no one behind. Ensuring coverage, impact and sustainability of these interventions could provide quality water access to hard-to-reach, very isolated and seemingly forgotten distant communities. Moreover, it would require multifaceted partnerships with principal actors such as foundations, National and local government, social enterprises and NGOs to accelerate the up-scaling of these interventions. The pathway for upscaling is clear as demand for access to quality water in these communities remain obvious. Coupled with this is the efficiency, benefits and the less complex replicability of the interventions. Kudos to Saha Global, TREND and CONIWAS for making these innovations work. The views expressed in this article are the author's own and do not necessarily reflect those of the SDG Philanthropy Platform. The SDG Philanthropy Platform is a global initiative that connects philanthropy with knowledge and networks that can deepen collaboration, leverage resources and sustain impact, driving SDG delivery within national development planning. It is led by the United Nations Development Programme (UNDP) and Rockefeller Philanthropy Advisors (RPA), and supported by the Conrad N. Hilton Foundation, Ford Foundation, Oak Foundation, Brach Family Charitable Foundation, and many others.